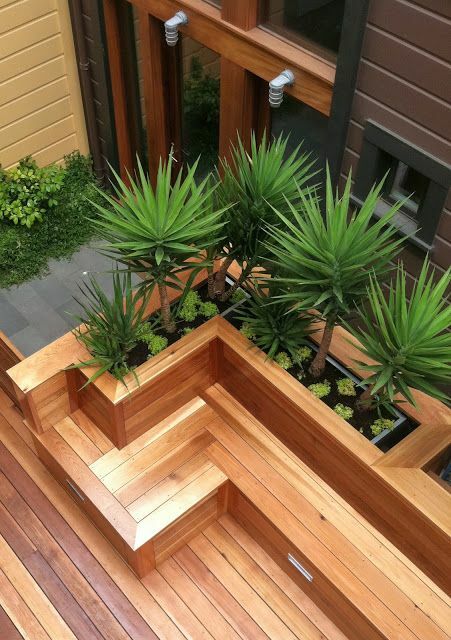 Landscaped gardens often have the luxury of having sections of the garden custom made and a trend is having custom built planters built in. 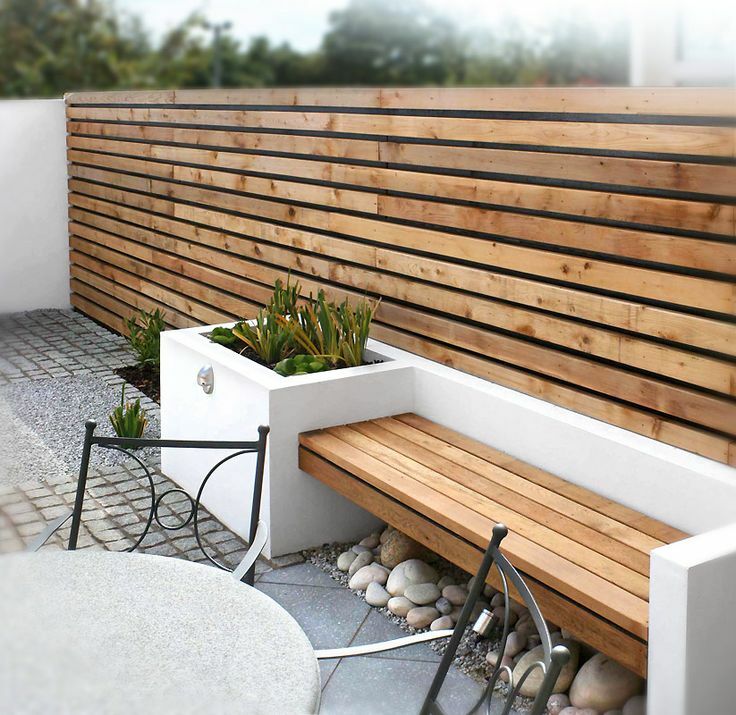 They can either host a seat or just be a raised feature but either way they look very classy and contemporary. 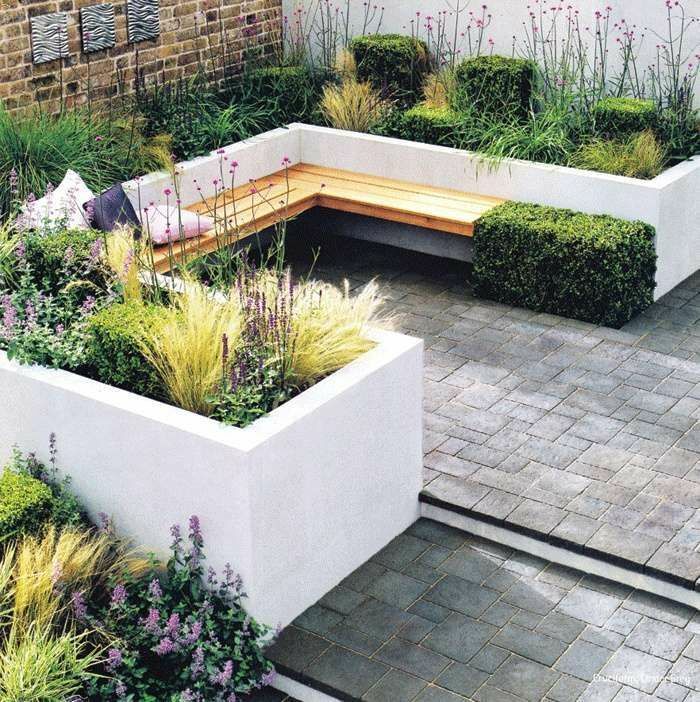 The combination of planters and a bench enables the user to get in to the garden much more than a normal garden lay out and the planter are at a personal level. 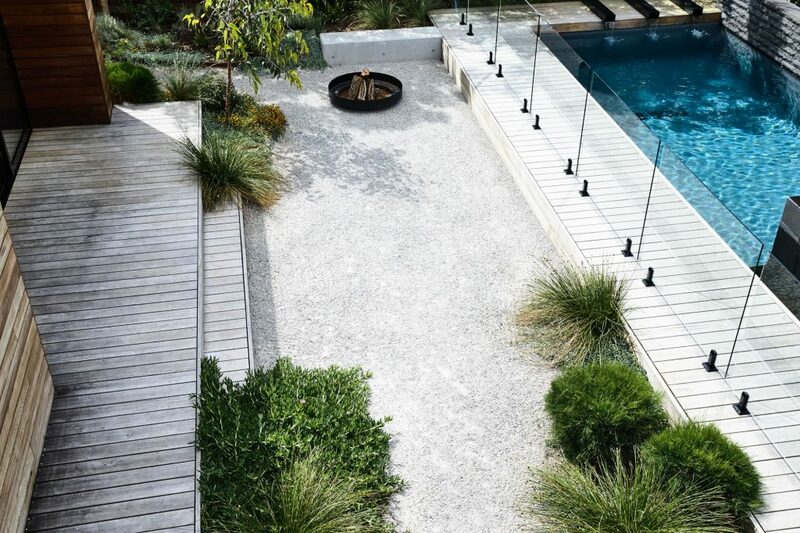 Having the furniture built in to the landscape design can have more benefits than just looking good. The closed off nature of it means that you can utilise the space within and store cushions or other items you might want convenient. This doesn’t have to be the case though. 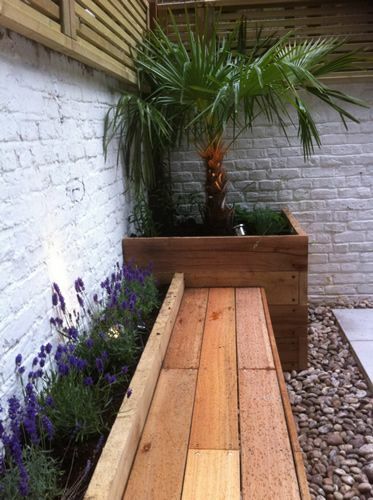 If your need for storage is less and you have the freedom to make a feature of the design then added pebbles or lighting underneath a built in bench can make it look really cosy and lighter than a block of built in wood. Using solely wood isn’t the only option. 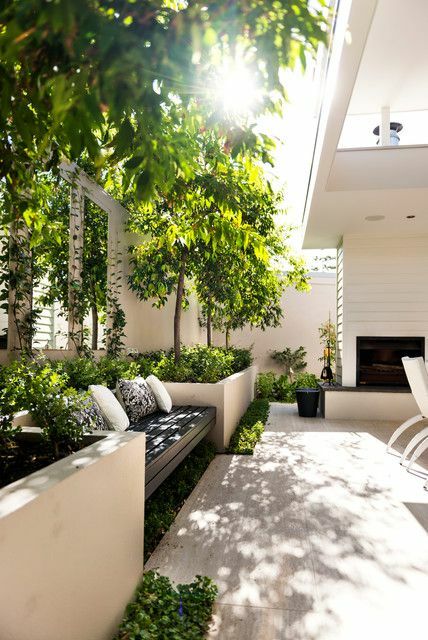 Wood is often used for the seating area because of its warmth properties but it isn’t a firm rule. 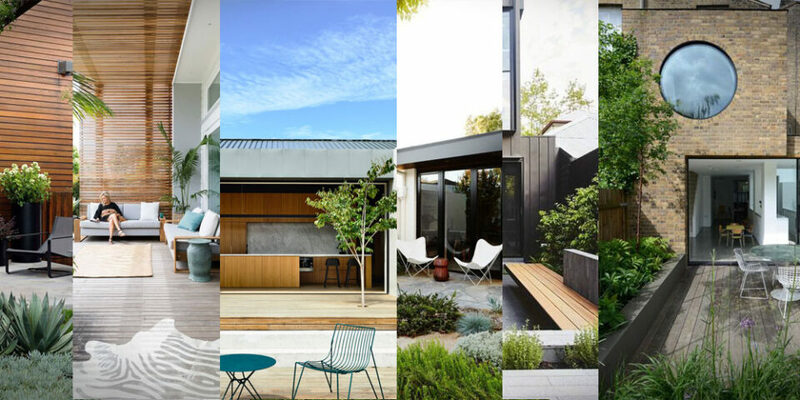 If you plan of having soft furnishing on the seating anyway then you are more free to play with material. 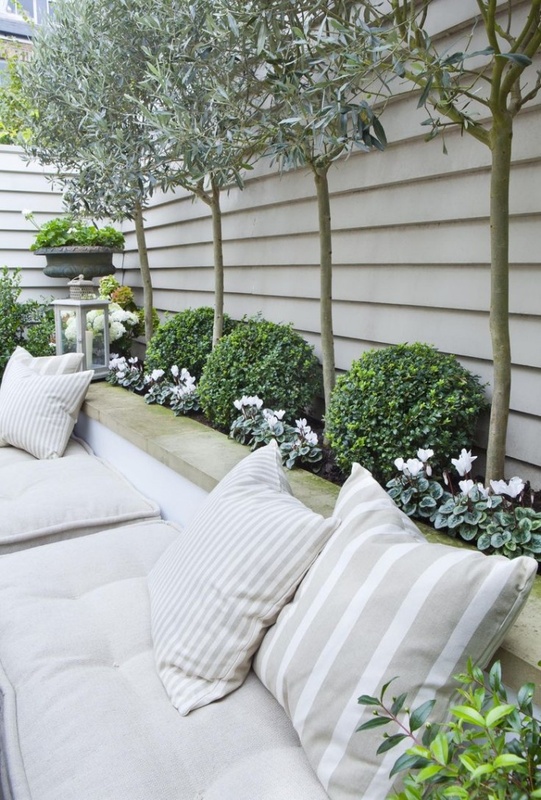 When the cushions are added to the built in bench then why not play with the size in relation to the surface. 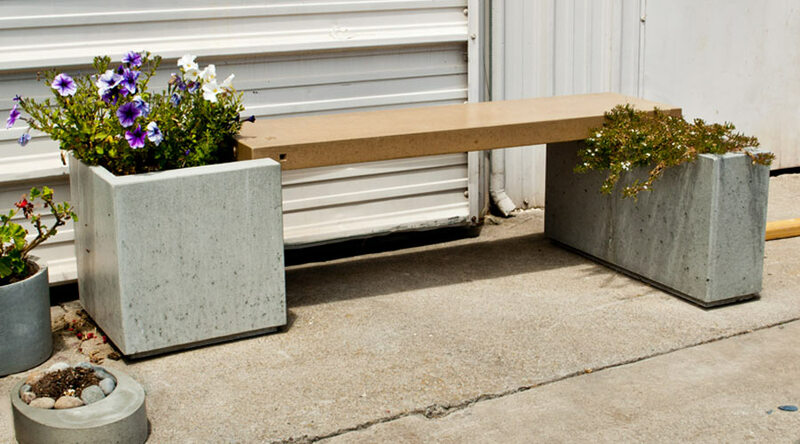 A small cushion will allow you to use the remaining bench surface as a table which maybe convenient. You also don’t need to have the material in pristine condition. 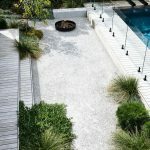 Depending on the style of your design a rustic wood or concrete finish can look just as effective as perfectly stained and maintained features. 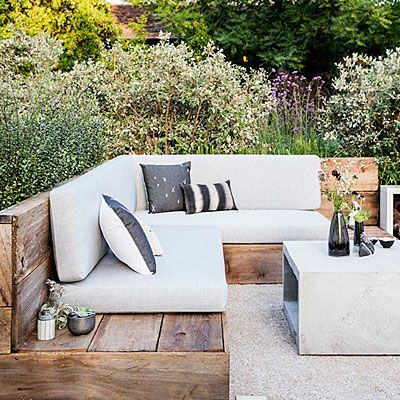 Using more rustic materials will mean your design looks more original for longer and with less effort. 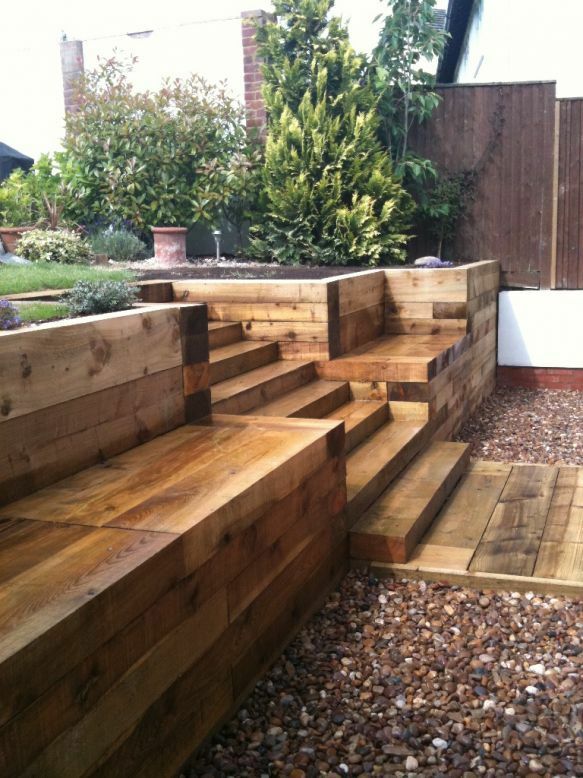 The contemporary stylish look is fantastic and what we see most in magazines and pin up images but the photos are taken just after completion and over time wood will change colour in the sun and varnish will deteriorate. Baring this in mind in the first place will help you over come this later on. 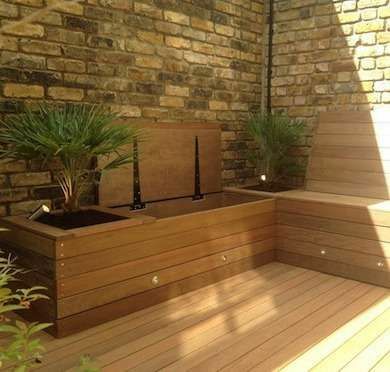 Really built in benches and planters will have plants tickling your ears when you sit down. To some this may be annoying but it depends on what you want to achieve from your built in project. 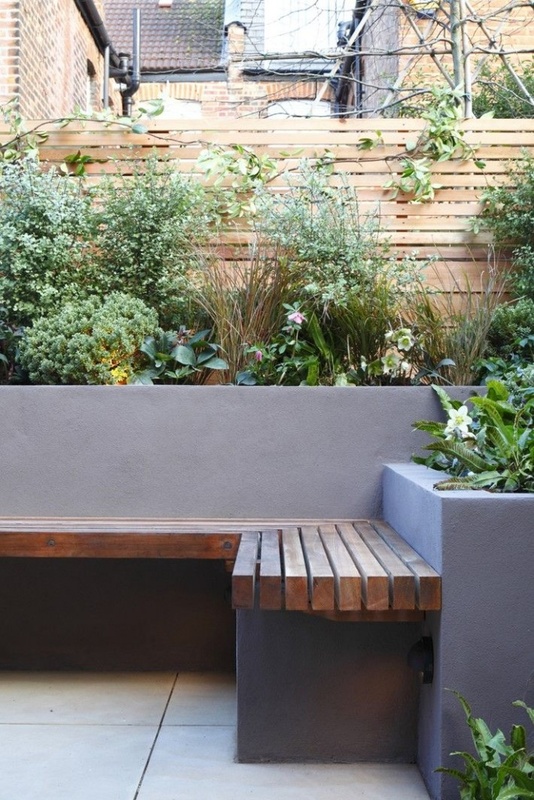 If you simply want a functional style piece then ear tickling is probably not for you but if some shade and a feel of sitting in a forest is then you are probably looking at a different style of planting. 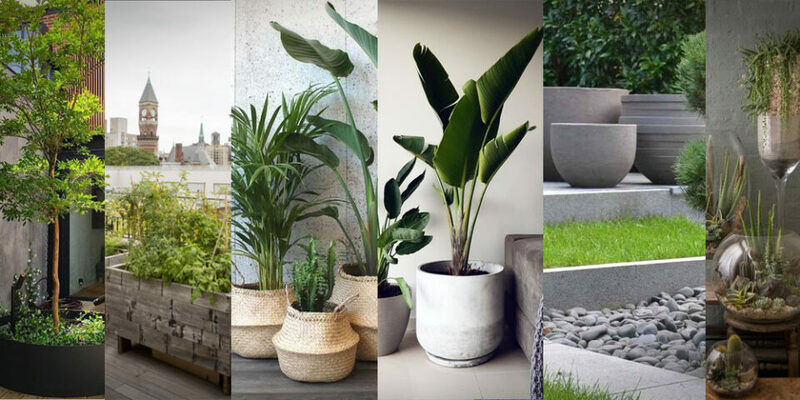 Having a small space garden can give you the opportunity you take advantage of the built in planters and maximise the space you have. 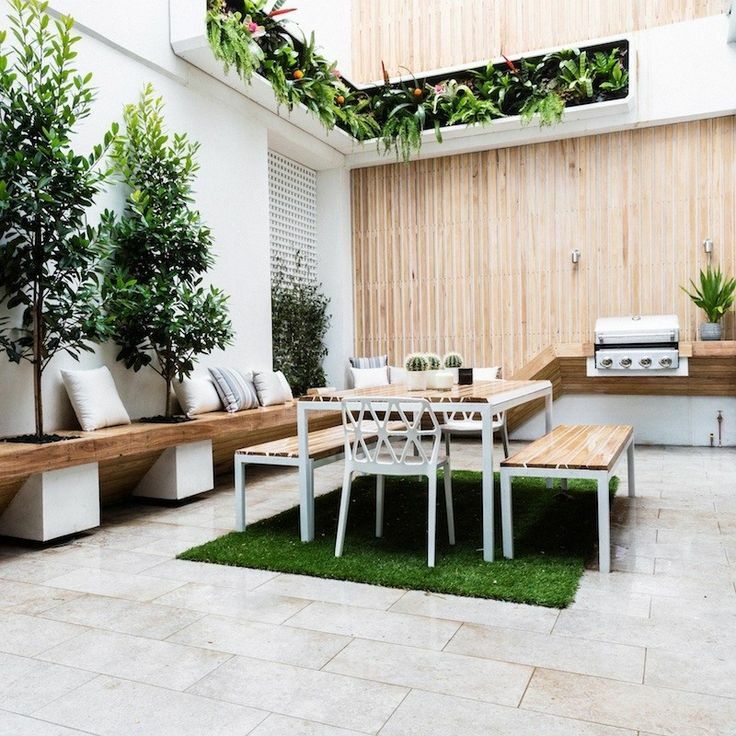 Clever use of the outer walls adding in seating, shelving and work surfaces means you have practicality and style all in one.